Our attorneys and lawyers offer patent prosecution and litigation services in the Orange County and Los Angeles area . With considerable experience in preparing, filing and prosecuting patent applications, we have successfully represented many clients through the complex patent process, and we can help you too. In a world where data can be transmitted instantaneously to millions of people across the globe, it is vital that you are diligent in protecting your patent rights. Without protection, one risks dilution and piracy of valuable work. If you are seeking a patent, our starting point will be to help you to navigate around competitors' patents, and thereby avoid being the target of an infringement lawsuit. This is done through the drafting of an opinion letter, which evaluates the strength of the competition's patents, as well as identifies any potential weaknesses. An opinion letter can also be the foundation for future cooperation between competitors in the form of technology sharing agreements. The next step is to help you file an application with the United States Patent and Trademark Office (USPTO). Once the Office approves the application and issues a registered patent, you will be equipped with a powerful measure of protection. At this point, we can help you to enforce your patent rights against current and future infringers via patent litigation. We can also aid you with licensing agreements, and other patent related legal services. We have served and continue to serve clients in Orange County, Los Angeles County, and southern California with their intellectual property needs. If you are in need of a patent attorney, contact us. We perform a variety of analyses for our clients that we will give to you as legal counsel in the form of opinions. These analyses include the validity or invalidity of your case, whether or not infringement is a viable accusation, and non-infringement opinions to name just a few of our many varying opinion services. Getting a sound, professional opinion is the first step in charting a course through the patent world, and could save you tens of thousands of dollars in the future. Our opinions are based off of thorough research and investigation into your patent claims and come complete with detailed analytic reports to fully explain our positions. Click here for more information. Patent prosecution may sound like it refers to the litigation process between a patent holder and an infringer, but patent prosecution is actually just another name for the application process that all aspiring patent holders must go through in order to get their patent. We are quite experienced at this process, having drafted patent applications in many different fields of technology and industries, including: computer hardware and software, internet-based invention, semiconductor fabrication, telecommunications, medical devices, active wear apparel, and various mechanical devices. We take pride in preparing patent applications that will help our clients accomplish their real world objectives. Click here for more information. 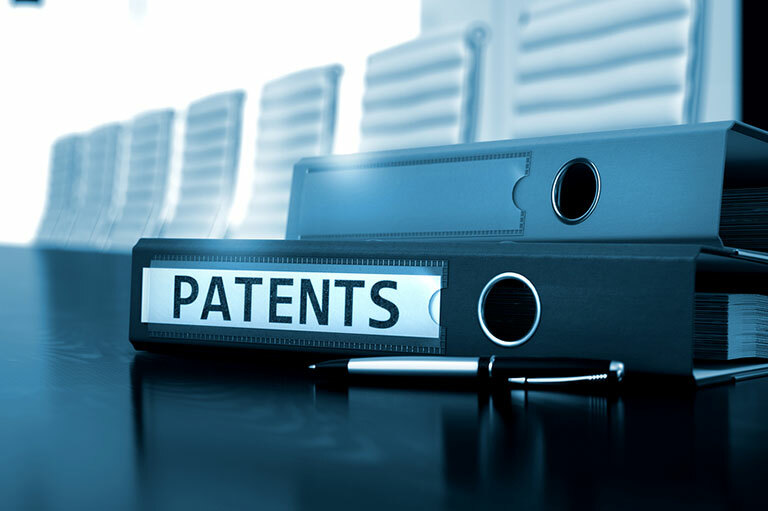 Sometimes patents are or appear to be infringed upon and when this situation arises, usually the result is a legal battle referred to as patent litigation. We are skilled in litigating clients' claims, understanding their particular needs, and translating the language of technology into the language of the courts. Being able to effectively communicate complex information as simply and directly as possible so that a judge or jury can understand the significant legal issues is an important factor in litigating patent cases, which gives us an edge on behalf of our clients. Click here for more information. Once you have your patent you are free to do with it as you wish but one of the best ways to make money with a patented device or service is to license it out. Licensing will allow companies to use your device with your explicit permission so long as they pay a specified amount to you (either in royalties or a flat rate depending on your wishes and our counsel). Not only will we help you to set up a licensing service, if you wish, but offering a licensing service to our clients who have just successfully completed patent prosecution is our standard practice. Click here for more information.